Hello. Here’s another remix I’ve made for a competition a while ago. I haven’t made it into the top tracks this time but still had a good time doing this and I’m making it available as a free download today. It’s somewhat Bhutanese Passport influenced so beware! That’s all, I hope you like it. And don’t forget to grab a copy if you do. 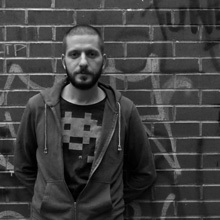 I'm Emre, a 34 year old electronic music producer and sound designer from Turkey. I love playing around with breaks, basses and all kinds of weird samples and this is the place where I share my sonic endeavours. If you'd like to hear more, please subscribe or connect via social media buttons above. See you around!